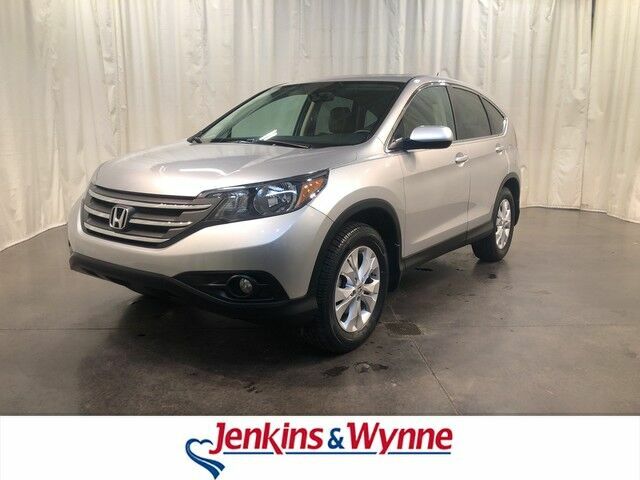 Jenkins & Wynne is honored to present a wonderful example of pure vehicle design... this 2012 Honda CR-V EX only has 90,612mi on it and could potentially be the vehicle of your dreams! This Honda CR-V EX is an incredibly versatile vehicle that is a "must have" for any family. This vehicle was engineered to be both economically and environmentally friendly with exceptional fuel efficiency. This vehicle has extremely low mileage on the odometer, so while it's pre-owned, it's practically new. More information about the 2012 Honda CR-V: Honda has a successful formula for their compact SUV and they see little reason to deviate too much. All CR-Vs come with a capable 4-cylinder engine, a cleverly designed interior and compact exterior dimensions. This is all wrapped up in attractively designed sheet metal and sold with available all-wheel drive at a competitive price. While some competitors have allowed their vehicles to balloon in size, features and price, Honda has steadfastly stuck to the winning formula that has made every generation of CR-V a success. This model sets itself apart with Practical and well-equipped with available all-wheel-drive. TEXT: 214.914.1866 CALL: 931.538.7505 EMAIL: Sales@JenkinsAndWynne.com. Our pre-owned come w/ an oil change, windshield wiper fluid check, 50k mile compression check, atleast a 32pt inspection sheet, the AutoCheck vehicle report, and a 12month/12k mile power train warranty (on a vehicle w/ 80k miles or less/10 years or less/ excludes Diesels, also excludes Bargain Corral Vehicles). This is already over a $200 savings to you! Jenkins & Wynne has been proudly serving the Clarksville area since 1953! This 2012 Honda CRV is a 4 door 2.4L front wheel drive SUV! This beauty has gray cloth interior, back up camera, CD player, power locks and windows and MORE! !